General Daily Predictions: Today, the Moon from Aquarius forms a hexagon with Uranus in Aries. Then from Pisces forms a hexagon with the Retrograde Saturn in Capricorn. Also today, the Sun from Taurus accurately opposes the Retrograde Jupiter in Scorpio. Aries, Capricorn and probably Aquarius and Pisces will be the luckiest zodiacs of the day. Libra, Cancer and, probably, Virgo will be the less lucky ones. Business and career goals, as well as other goals you are considering world-forming, receive some beneficial influences. This affects mostly long-term goals and the ones you are chasing after, sometime now. The realization of your objective may or may not happen today, but the path will open, one way or another. Business seems to receive some blessings today. Especially when and where decision making is an important factor. Also, this is a good day to strengthen your presence on social media and the web in general. This influences mostly your professional pages and accounts, and not as much your personal ones. This day can bring you the satisfaction of the realization of a goal of yours. Even if this isn’t the final step, it will be an important step. This affects mostly career, business, and money-related goals. Even more, goals you’ve been after for some time now. Work can be quite pleasant and satisfactory today. You seem to be on top of the situations there, especially if you were facing some problems or difficulties or challenges in this aspect of your life. Studies, as well as love life, especially for those in a relationship, receive some strengthening influences. Work can feel quite satisfactory today. You feel capable and productive. Also if you were after, or were expecting a pay raise, or a new work position, this can also happen today. Nonetheless, some corrective action may be necessary. Especially when it comes to studies. Both work and love life receive some blessings today. Work, most probably, in a gentle and peaceful manner. Things there seem satisfactory. As for love, you have the opportunity to strengthen and improve the situation there, whether you are in a steady, long-lasting relationship, or in a fresh one. Finding a new love, or re-establishing a relationship with an ex is also possible if you take proper action. Love life seems quite pleasant today. Some things may change there, or you may realize they have been changing. Whatever the case, though, these changes are most probably for the best. Work, on the other hand, receives strengthening and stabilizing influences. This is a good thing, but you may need to take some tiresome or unpleasant action to achieve that. 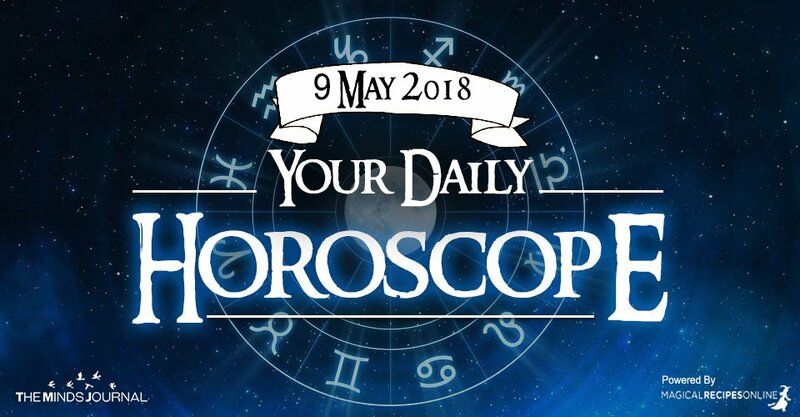 Today you’ll probably need to find enough time to properly take care of your work and obligations, and also to offer some time to your friends and lovers, existing or potential. Both these aspects of your life receive positive influences, but the two of them may fight each other for your time.